I've been to Melrose in the Scottish Borders many times but never had the time to go into the Priorwood Garden. 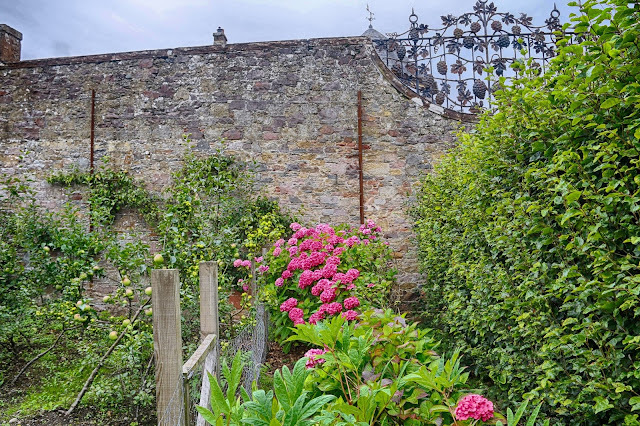 It is situated next to Melrose Abbey which rather overshadows the modest doorway this garden lies behind. There used to be a National Trust for Scotland (NTS) shop on the corner in which was also the admission counter. Now the shop has closed the garden is free to enter but of course donations are welcome. 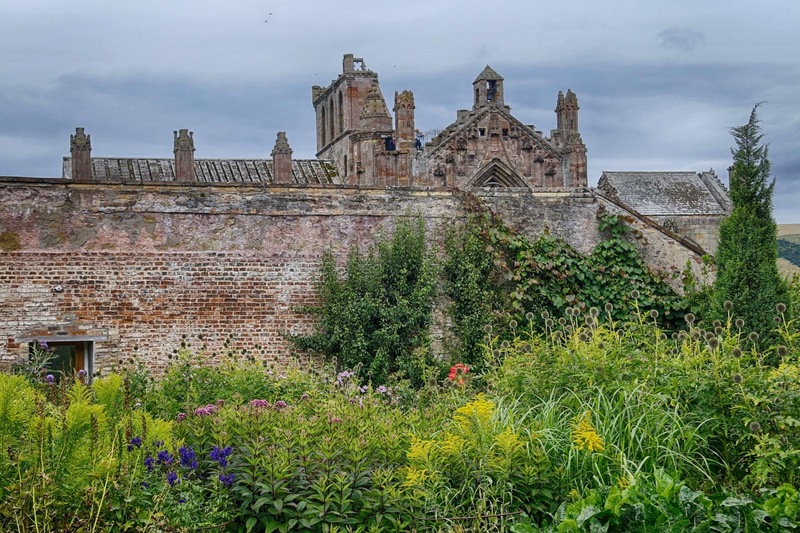 Originally the garden formed part of the neighbouring Melrose Abbey. It then became the kitchen garden to Priorwood House which is situated in the far corner of the garden. Priorwood House became a youth hostel and the garden was destined to become a car park. 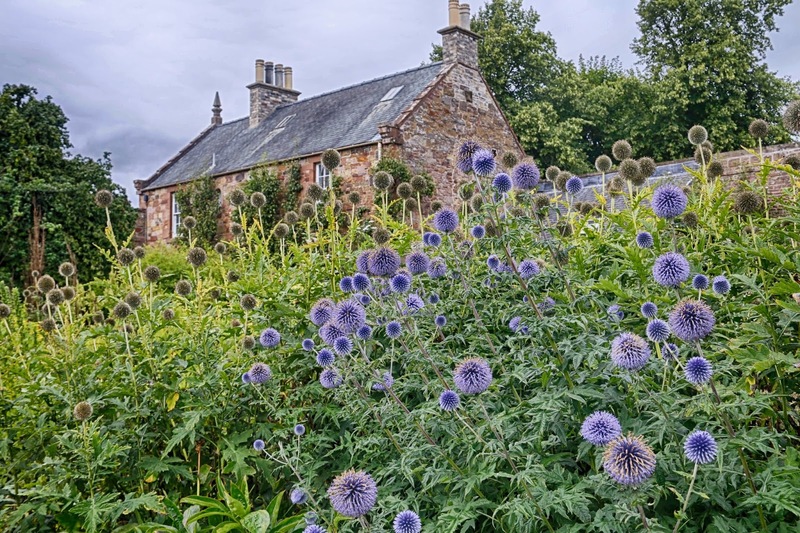 The NTS bought the site in the 1970s and saved the garden from being tarmacked over. The first part of the garden is the dried flower garden. 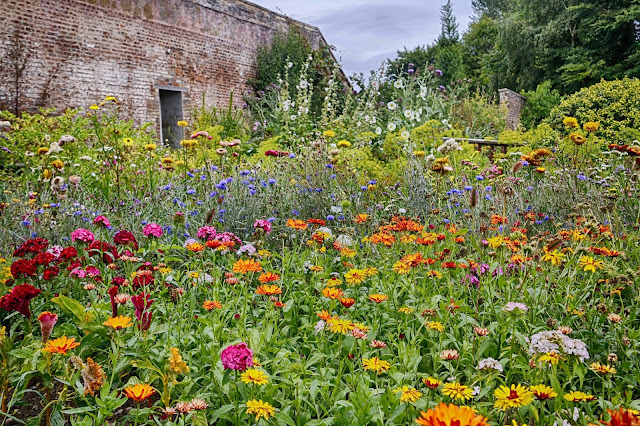 It is the only garden in the country that has a section dedicated to the growing of flowers designed to be preserved. There are various methods used such as air drying, pressing and preserving in glycerine, silica gel or sand. Some are dried in trays to be used for pot pourri. 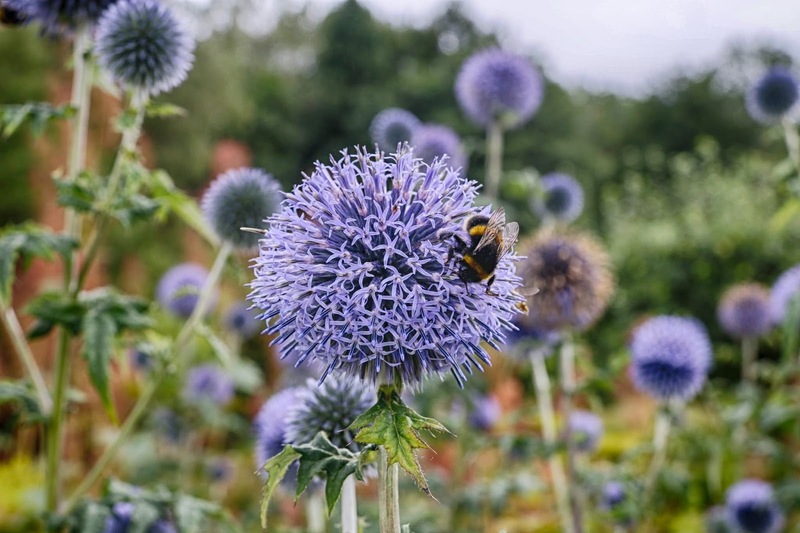 Most of the plants are also excellent pollinators such these eryngium. One of the oldest parts of the garden to survive is the orchard. The layout hasn't changed since the 1800s. 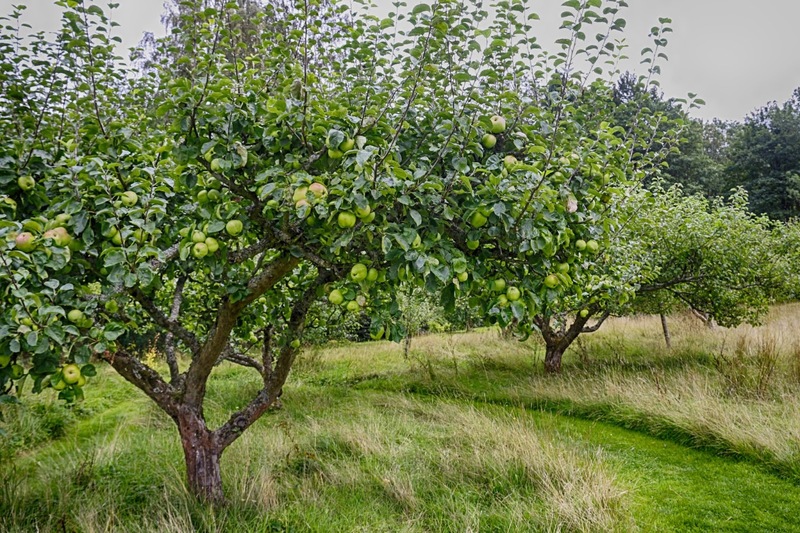 There are around 70 varieties of apple being grown in the orchard with Scottish varieties plus ones from around the world. A newer and developing part of the garden is the woodland area. 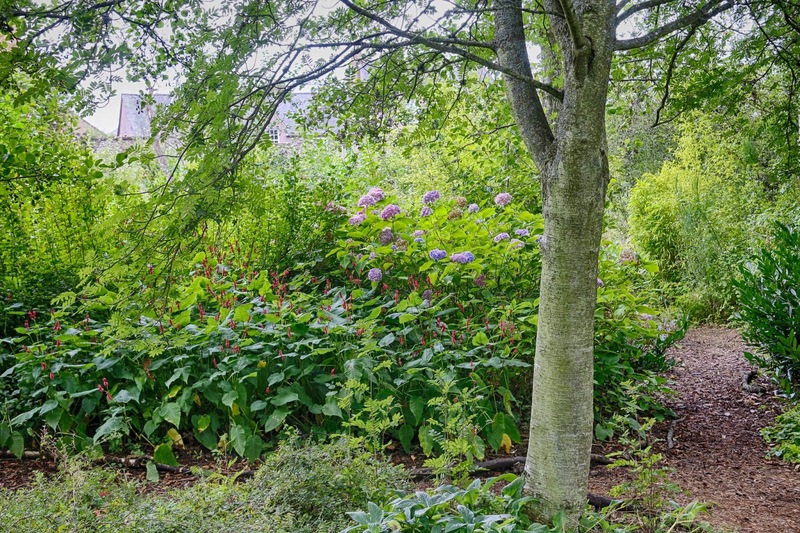 The idea is to fill it with plants that are largely self-maintaining to give that wild and natural feel. 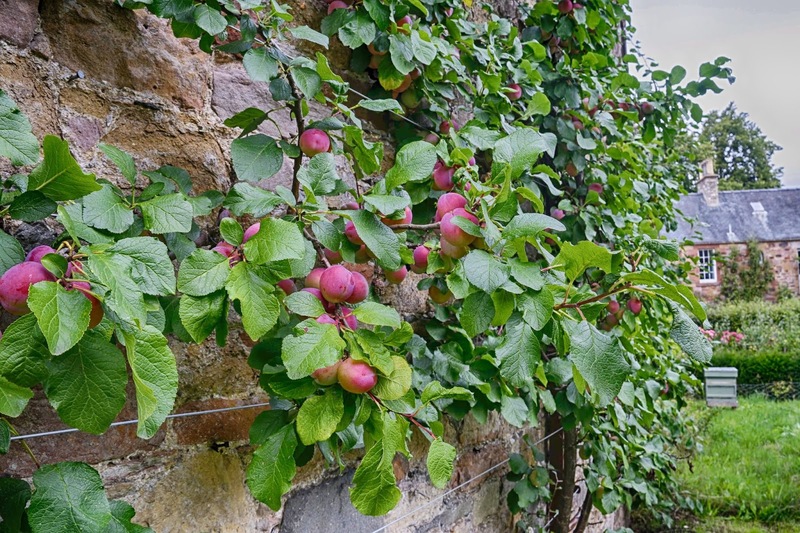 The wrought iron metalwork in the outer walls depicting mulberries is thought to be the work of Scottish designer Robert Lorimer or Edwin Lutyens. Compared to the ruined abbey next door the garden is a tranquil space and it seems many people like I have done in the past and just past it by.